Officials of Australia and the ASEAN member states signed a Memorandum of Understanding (MoU) on strengthening co-operation to counter international terrorism within the framework of the ASEAN – Australia Special Summit in Sydney, Australia on Saturday. The signing ceremony took place in the presence of ASEAN leaders and Australian Prime Minister Malcolm Turnbull. The MoU is considered a historic breakthrough contributing to strengthening the two sides’ collaboration in ensuring regional security. Via signed framework agreements, ASEAN and Australia agreed to enhance counter-terrorism co-operation in terrorist financing and violent extremism. Australia committed to maintaining annual dialogues between its government, security and law enforcement agencies with ASEAN to seek practical measures to safeguard regional security. The document features various initiatives and framework agreements covering engineering, anti-terrorism law building, regional dialogues and seminars on electronic evidence, financial intelligence and ways to tackle online radicalisation. Also yesterday, Australian Home Affair Minister Peter Dutton named use of encrypted messaging apps to plot terrorist attacks the greatest threat faced by intelligence agencies in modern times in his remarks at the ASEAN-Australia Special Summit that is underway in Sydney. The use of the “dark web” by extremists and other criminals was increasing, Dutton noted, adding that they were using encrypted messaging apps to avoid detection by police and intelligence agencies. He stressed that the only way to tackle the threat and the increasing use of the Internet by terrorist groups like Islamic State to radicalise and recruit new members was to do this together. 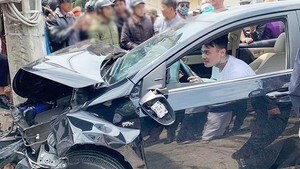 It would be a mistake to approach the problem from a national perspective as terrorism and violent extremism transcend national borders, the minister said. Countering the threat required a united and cohesive regional effort involving co-ordination between national security and law enforcement agencies, he added. Australia has been helping Southeast Asian states deal with terrorist financing and counter violent extremism. The two sides signed a memorandum of understanding at the summit, with an agreement to pool cyber intelligence and police resources across the region for the first time. 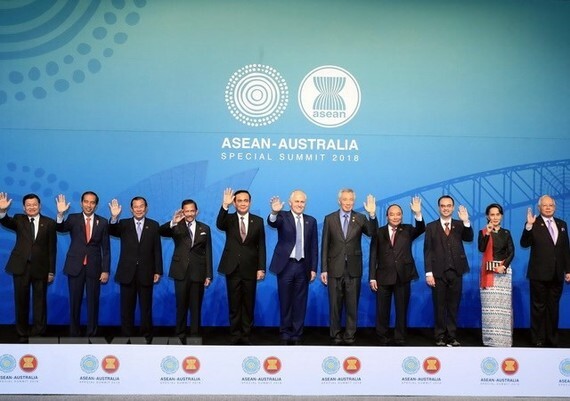 The ASEAN-Australia Special Summit, the first of its kind, opened in Sydney on Friday, in the presence of Turnbull and leaders of ten ASEAN nations including Vietnamese PM Nguyễn Xuân Phúc.